Scroll down for the latest Metro Sports news, stats & standings! 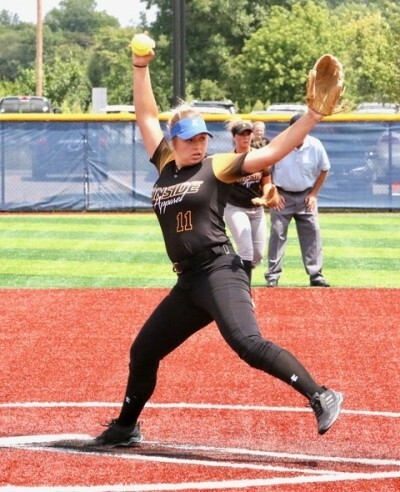 There was more good pitching, hitting and defense Sunday as the Iowa Women's Softball League finished the season on a strong note. Ironside Apparel ended the year on a high note by winning both of its game for the first time this season at Mount Mercy. Bosch Financial also finished with a flourish with an 8-0 victory over Metro Sports Report at Simpson College. Lauren Kuch of Kirkwood hit a two-run double in the top of the seventh inning to snap a scoreless ballgame and help Ironside Apparel blank Emil's Hideaway, 2-0, in the first game at Mount Mercy. Adara Opiola of Northern Iowa and Taylor Kurtz of Dubuque scored on Kuch's clutch double. Ally Johnson of UNI socked a triple for the winners. Natalie Halvorson of Kirkwood starred in the circle for Ironside Apparel. Kelsey Aikey of Western Kentucky was the tough-luck losing pitcher for Emil's Hideaway. She kept Ironside Apparel off the scoreboard for six innings and finished with eight strikeouts. DoniRae Mayhew of Iowa went 3-for-3 to help Ironside Apparel defeat Hawkeye Convenience Stores, 8-3, in the middle game at Mount Mercy. Taylor Henderson of Mount Mercy hit a two-run triple for Hawkeye Convenience Stores and Emily Ira of Western Illinois had two hits. Ira tossed a three-hitter as Hawkeye Convenience Stores topped Emil's Hideaway, 7-1, in the third and final game at Busse Field. Payton Bruner of Mount Mercy, Jenna Schwartzhoff of Clarke and Brie Tauber of Clarke had two hits for Hawkeye Convenience Stores. Bruner drove in three runs for the victors. Tara Lance of Saint Ambrose had two hits for Emil's Hideaway. The pitchers from both teams dominated the first game at Simpson College as Bosch Financial and Metro Sports Report battled to a scoreless draw. Abby Carlin of Western Illinois tossed all seven innings for Bosch Financial in the deadlock. She pitched a three-hitter with eight strikeouts. Marissa Promes of Buena Vista and Cassidy Blackford of Western Kentucky combined for the shutout for Metro Sports Report. They allowed only two hits, with Promes pitching the first four innings and Blackford handling the last three frames. Megan Rushing belted a two-out triple in the bottom of the seventh, but was stranded at third base. Olivia Goodale of Missouri Western twirled a six-hit shutout for Bosch Financial in an 8-0 victory in the second game at Simpson College. Goodale escaped bases-loaded jams in the first and second innings, and stranded two more base runners in the seventh. Allison Fleming of Albright went 3-for-4 with a double and two RBIs for Bosch Financial. Madi Parrott of Northwestern Oklahoma State was 2-for-2 with two walks and scored three runs. Carlin hit two doubles for the winners.